Is there someone who doesn't want to gain an easy treasure, to become richer over night, not to bother with work and hard efforts? Some people believe that they can succeed to find treasure where no one else look for. They want it for themselves only. Great dreamers and adventurers dream of a wealth that will save their lives, will help them become richer and happier. Richard, Susan and Karen are lost treasure hunters. 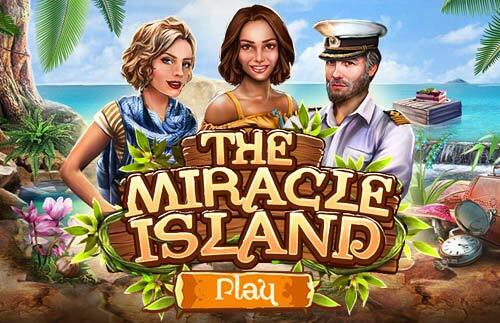 They come on the abandoned island called Miracle island because they have found out that few worthy old golden money can be searched overthere. Now the quest for the treasure can begin. No matter that you, our player, may not believe in lost treasures, try to help these treasure hunters find wealthy objects.